As I stood in the crowded line to get on the ferry heading to San Francisco, I looked up and around and saw a sea of humans looking down at their phones. I wondered to myself, does everyone have neck problems? Are chiropractors making a killing thanks to our smartphone addiction? Are we disconnected or overstimulated? The ferry arrived at the dock and the line started to move. I felt like a cow being herded. I also felt if I didn’t immediately move forward with this sea of humans I would get run over. At every opportunity someone passed me or stepped in front of me, in a rush to get on the ferry. It’s quiet on the ferry. Everyone is looking down at their phones as am I while I type this with my two thumbs. 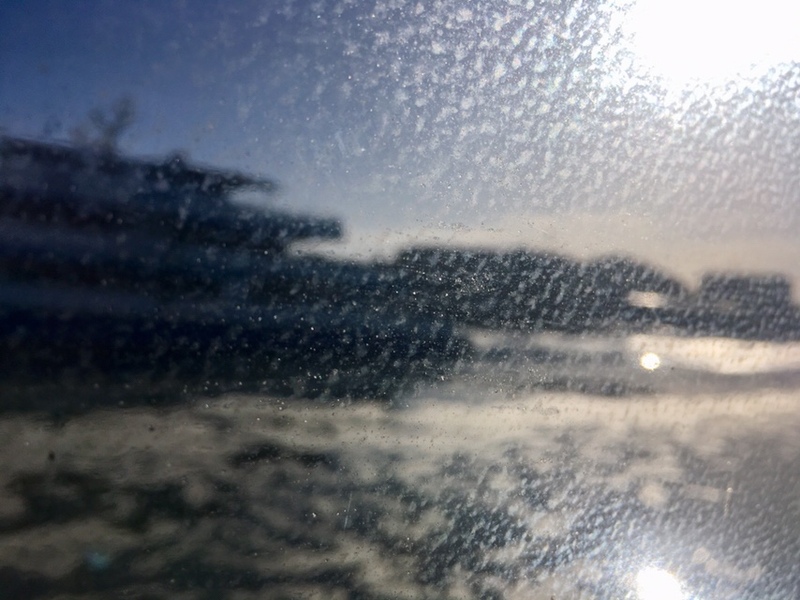 Feeling disconnected on this connected boat as I look out the blurred window while we pass by San Quentin State Prison and I think about all the ways we humans can be trapped. All these random thoughts happening at the same time as I am feeling incredibly grateful to have such a beautiful commute. Johan was on the 7:30 ferry today! Probably looking at his phone too. My sister and I are going on the ferry tomorrow. I was just looking up the ferry schedules (from Sausalito). We won’t see the prison from our viewpoint — well, except for Alcatraz. I love your description of other people looking at their phones which you describe while looking at your phone. I love taking pictures of people taking pictures too.